This beautiful 12" round glass table top can be used as a table cover to protect surface of an existing table, desk, patio table, or coffee table. Or, it can be placed on a pedestal to create an instant side table. Perfect as a nightstand in the bedroom. 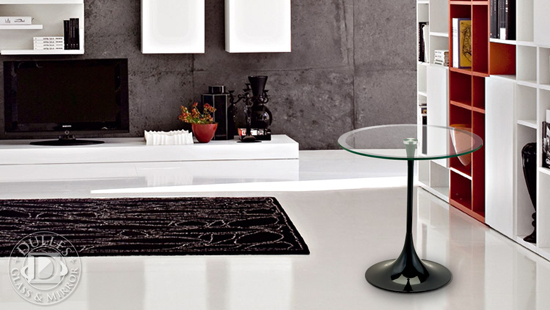 Choose flat polished edges on tempered glass or beveled edges. Weighs 5.15 lbs.